Planning to be in the T-Dot that night? Considering being in Hogtown that day but need an extra push? Need an Excuse to be in the 6ix? 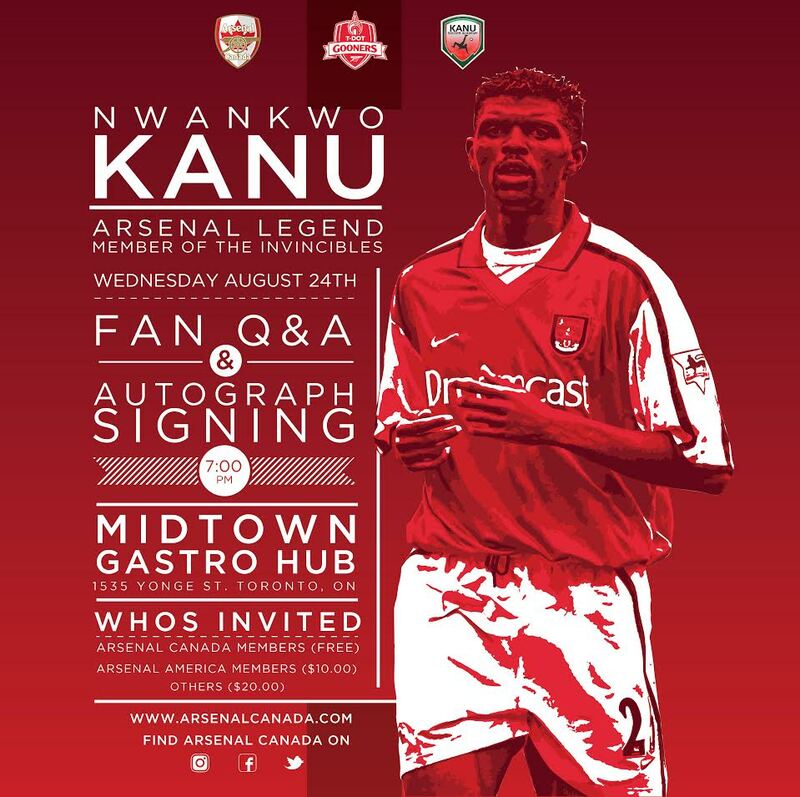 Arsenal Canada, the Kanu Soccer Academy, and the T-Dot Gooners invite you to attend a special event with the one and only Nwankwo Kanu. 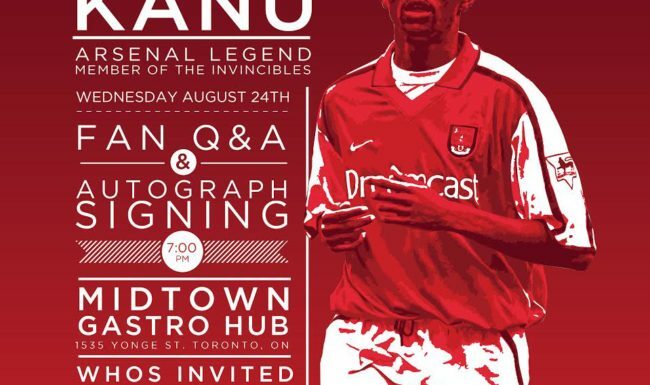 The Arsenal Legend and Member of the Invincibles Team will be answering questions and signing autographs at Midtown Gastro Hub (Yonge and St. Clair) at 7.00 pm on Wednesday August 24th 2016. Arsenal Canada Members enter for free. 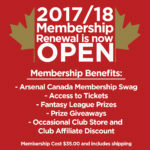 To join, head to www.arsenalcanada.ca/membership to enjoy the best of this incredible visit plus you’ll enjoy more benefits like access to tickets at the Emirates, discounts at select Arsenal Pubs, Access to the Fantasy Leagues, a merchandising discount at L&M Taylor, and more.